Often, reporting pressure ulcer care can be confusing and frustrating. From differentiating between non-excisional to excisional debridement, to accurately reporting active wound management and surgical interventions. Reporting pressure ulcer treatment can really make you feel like you are “under pressure. In this session we want to lift that pressure and show you how pressure-free coding for these services can be. 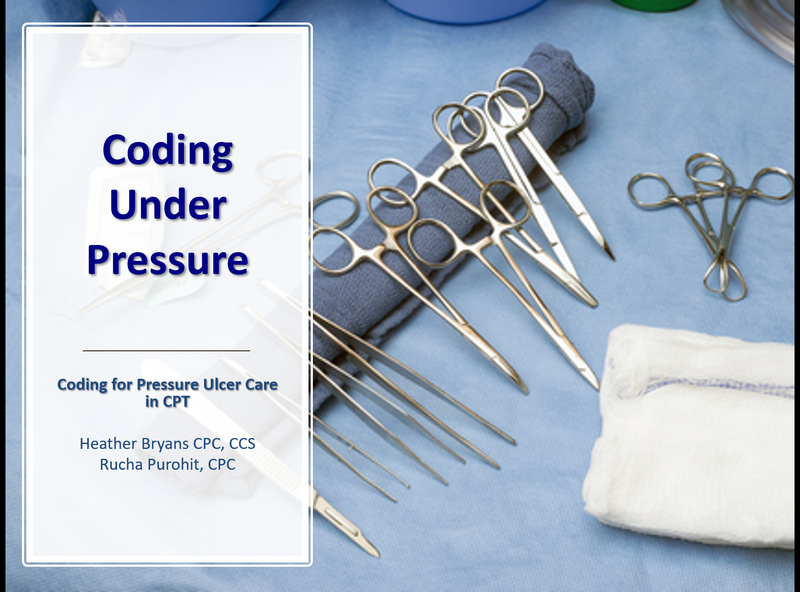 Describe key CMS rules and regulations specific to treatment of pressure ulcers and apply this knowledge in your own providers claims.